Days after Apple extended its mobile payment service to China, Samsung Electronics has said it will follow suit. Samsung Pay, already available in the U.S. and South Korea, and will open in China next month. It will open for business in the U.K., Australia, Brazil, Singapore and Spain later this year, with Canada to follow at a later stage, Samsung said Saturday. Apple Pay is available in the U.S., U.K., Canada, Australia and, since Thursday, China. 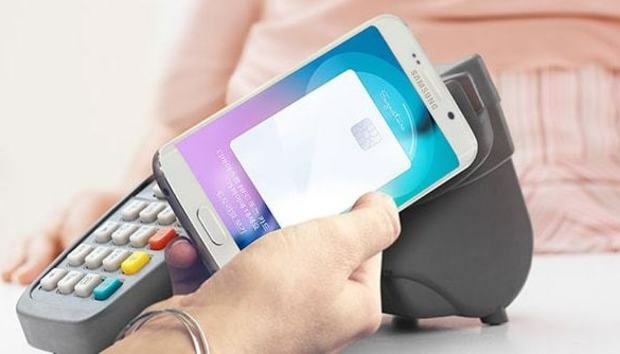 Samsung's payment service has about five million registered users, who have spent an average of US$100 each through the service in its first six months, according to company figures. Both companies' payment services only work with their latest phones. For Apple, that means the iPhone 6, 6s, 6 Plus and 6s Plus for both in-app and in-store payments, and a handful of recent iPads for in-app payments only. The Apple Watch, when paired with an iPhone 5 or later, can also be used for in-store payments. In Samsung's case, the service is primarily compatible with high-end models such as the Galaxy S6, S6 edge, S6 edge+ and Note 5, although it is also available on mid-range phones such as this year's Galaxy A5 and A7. This year, Samsung Pay will work with four payment networks: American Express, MasterCard, Visa -- and now China UnionPay, the company said. A deal with China UnionPay was the key to Apple's payment presence in China too: The company issues the vast majority of the company's billion credit and debit cards, of which there are over four billion in circulation.